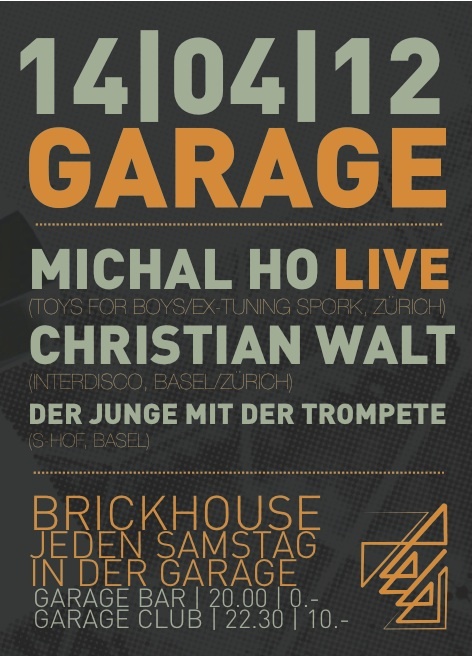 Am 14.4.2012 beschallt Interchico Christian Walt (DJ) zusammen mit Michal Ho (Live) und Dem Jungen mit der Trompete (of Schlachthof fame) die Garage Basel. Put on your dancing shoes and worship spring! 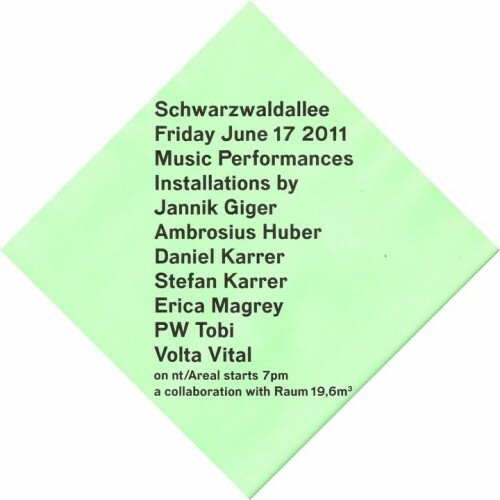 Volta Vital will be performing live at the pre-opening of Schwarzwaldallee in Basel on June 17th, 2011. There will also be music performances & installations by: Jannik Giger, Ambrosius Huber, Daniel Karrer, Stefan Karrer, Erica Magrey, and PW Tobi. Don’t miss it! Preslav Literary School has been voted to be part of this Netaudio London 2011’s ‘Open Platform’. The ‘Open Platform’ is a community programmed stage aiming to showcase new and emerging musicians. Preslav will be taking the stage Sunday, May 15th some time between 1pm – 6pm at the Roundhouse Torquil’s Bar, Chalk Farm Road, NW1 8EH.